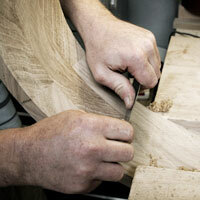 We started Christian O’Reilly Furniture Design in 2006. I design and make the furniture and my wife, Alice, runs the office. We work for a variety of clients, both private and public, creating bespoke freestanding and fitted pieces, as well as short product runs of our own pieces. We are also happy to work with architects and interior designers. We live in North Cornwall with our two young sons. I have always worked in creative fields, from my first job as an apprentice propmaker at English National Opera to digital modeling in automotive and product design. Furniture design and cabinetmaking was a natural development, combining my love of beautiful furniture and working with wood with my strong drive to design my own pieces. Our furniture is of the highest quality with fine and subtle detailing. I take great care resolving each design, focusing on proportion, line and how light plays on every surface, to give each piece a distinctive identity. Our furniture is designed to be enjoyable to use as well as beautiful. When designing, I draw inspiration from shapes or lines which catch my attention. It can be anything from the shape of a pebble on the beach to the lines and form of a Citroen DS (a car for which I have somewhat of a weakness). I am also influenced by architecture and the space in which a piece is to sit. Sustainability is a key issue for us. We do not use endangered wood species in our work and aim to source our materials from well managed, sustainable sources. Environmental issues are inevitably complex but my wife and I are keen to limit our environmental impact wherever possible and to be honest about areas for improvement. 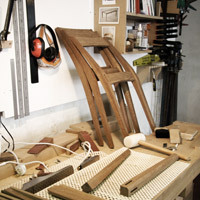 One of the best ways of protecting the environment is to ensure longevity, which is why our furniture is built to last. We run our business responsibly. We treat all people with whom we deal with respect and trust. 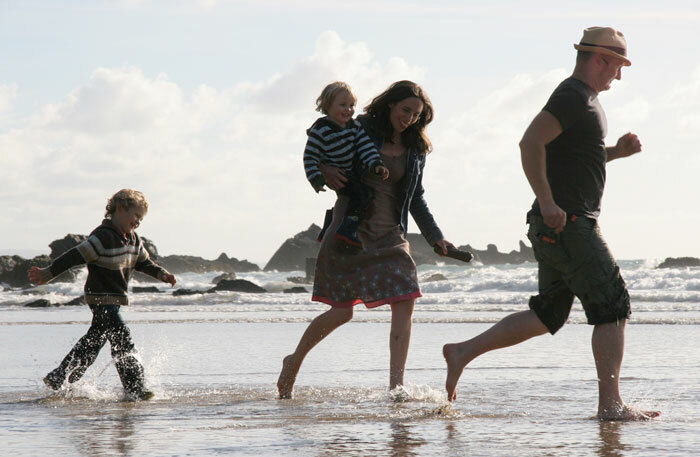 Client relationships are of utmost importance to us and you will not find any switchboard or turned off phones (although living in Cornwall we do sometimes stray out of reception particularly if we head to the beach). We can be contacted by email or phone to discuss projects and to provide any assistance, including any after sales care you may need.